Chronic neck pain, also known as cervical pain, can have multiple causes. It can develop as the result of a neck injury sustained after a traumatic incident, like a bad fall or car accident. Other times, neck pain is the result of a muscle strain or muscle imbalances. Even simple activities that are repeated over time, like sitting, reading and working at the computer can cause neck pain. In this article, we’ll cover the common causes of neck pain, and neck pain treatment options that will provide long-term relief. At the end of this article, we’ll also cover what you should NOT do to treat your neck pain as well as how to prevent neck pain. 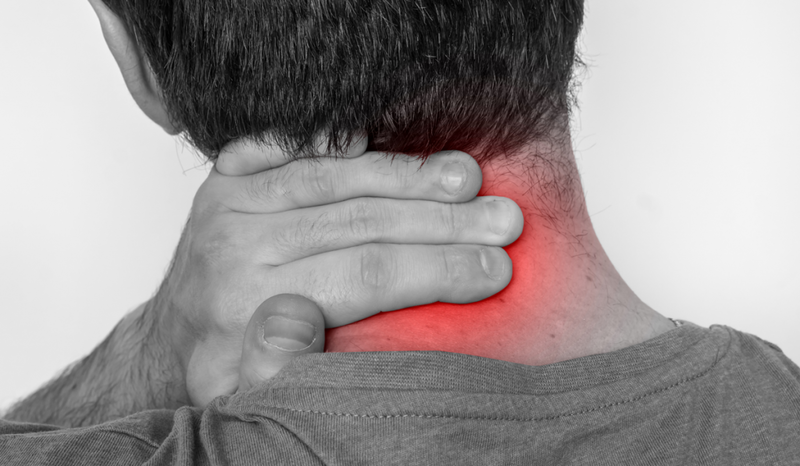 Neck pain, or pain in the cervical spine, is often caused by everyday wear and tear. Think about the things you do every day. You wake up… maybe sit and have a cup of coffee and read the newspaper. You sit in your car and drive to work. Once you arrive at work, you sit down at your computer. You may not realize it, but most people who sit all day have poor posture. The slump and slouch in their chairs. After the long day, you get back in the car and drive home, sit down and have dinner, watch the television and go to bed. Eight hours later, press repeat… the vicious cycle begins again. Fast forward 10 years later and you have a slew of neck problems. Are these signs and symptoms that you are experiencing. But why does this occur? How did this happen to me? How can I fix the problem? The basic premise here is that we become accustomed to our environment. Not to mention gravity is working against us. Our body as a whole will adapt to the positions we place them in on a daily basis. The muscles in the front of our body become tight and the muscles of our upper back (around our shoulder blades) become stretched out and weak. This, in turn, weakens our neck muscles, and our head now drops forward. Muscles function properly when they are in an optimal position. Muscles do NOT work well when they are either stretched out or very tight. When this occurs, the muscles will pull on the bones abnormally and place added stress on the discs and joints in our neck, back and shoulders. If this occurs for a long period of time, our joints become inflamed and the discs may bulge. When the discs bulge in our spine, they now have a tendency to irritate the nerves. The nerves that supply our shoulders, arms, and hands come from our neck. So, when we experience pain and discomfort in the shoulders, arms and/or hands, the problem may be in our neck or upper back area. If you have chronic neck pain, you may also experience neck stiffness, spasm of the muscles in your upper back, neck or shoulders, and tension headaches. The good news is that simple changes to your daily routine will dramatically reduce neck pain and neck stiffness and any other related conditions. These simple changes can even help prevent neck pain from happening in the first place. The upper back, neck and shoulders as a whole is a very complex group of joints and muscles. The motions that those joints go through are even more complex. The curvature of the lower spine plays a vital roll in the position and function of the upper spine, so in order to get the upper back, neck and shoulders to feel right and function properly, you will need to address the entire spine — top to bottom. Your doctor may order X-rays, MRIs or CT scans so they can see whats’ going on in the area around your cervical spine. Looking at these tests, your doctor may or may not be able to determine what condition you have. But what these tests definitely WON’T do is tell you what’s CAUSING your condition. These tests can’t tell you the strength or the flexibility of a muscle. They can’t tell you why your pelvis, spine, neck and shoulders are the way they are… and they certainly cannot tell you how your muscles are out of balance. The only way to correct your imbalances is with very targeted corrective stretches and exercises tailored to you and your condition. The good news is that even in the worst cases; our bodies are never that far out of alignment. But if you are in pain, those imbalances need to be addressed. Stop working out until you know where your imbalances are. The wrong workout will prolong your recovery and keep you in pain. Stop doing the sport or any physical activity that you enjoy doing – running, swimming, golfing, yoga, or Pilates until you know where your imbalances are. Seek professional help from someone who is trained in muscle imbalances and postural dysfunctions – and, no, not all healthcare professionals, including those who specialize in physical therapy, know about this approach. Address your neck pain from many different perspectives because everyone is different and not all outcomes are going to be the same. Look for an approach that addresses your condition from a physical, mental and nutritional perspective. Look for natural alternatives to your NSAIDs. 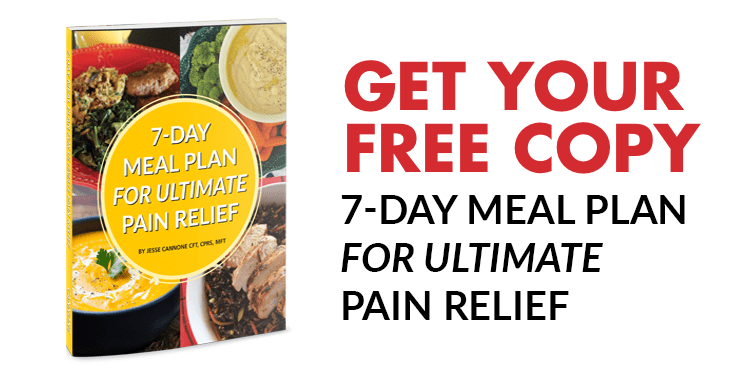 You don’t want to rely on Big pharma’s toxic pain relievers. It’s simple… restoring balance to your body and correcting muscle imbalances is critical to achieving optimal health. That is what we teach our clients and that is what we show our clients. You can learn everything you need to know about the life-changing therapy in my Lose The Back Pain System. Some other great treatments option to relieve cervical pain include Trigger Point Therapy, Inversion Therapy, and far-infrared heating pads.